Retaining talented employees is an eternal struggle for employers. Recruiters are increasingly looking to woo top talent away from current employers, and top talent is continually looking for the next step up the ladder and keeping their options open for a better offer. The atmosphere companies create for their employees has a lot to do with whether they will be able to retain them. Top talent looks for opportunities to learn more and improve their skills–they want to advance and will gladly leave if they get an offer somewhere they think is better or for a lot more money than what you’re paying. Creating an atmosphere in which continuing education is valued and advanced within the company can go a long way toward retaining employees, making them feel like they have something to contribute and that they can move up to the next job level when the time is right. What makes employees willing to leave your company and start over again somewhere else? They do so when the payoff for leaving is greater than the payoff for staying–so you have to increase the payoff for staying. Continuing education is one way to do so. The main reason an emphasis on continuing education is so important to employees is that they see it as an investment in their lives in an ongoing way. When employers provide or fund continuing education training, employees know that their skills development is a top priority and they feel that employers care about them when training is provided. Companies may think they don’t have the means to fund continuing education, but hiring new employees also costs money. Studies have shown that it costs between 20 and 200 percent of an employee’s salary to replace them when they leave. Even for low-level employees, this adds up to thousands of dollars. The average amount businesses spend on training employees is just over $1000 each year, so intentionally investing more could actually cost less if more employees are retained. Better trained employees will also be more productive and do their jobs better, which will benefit the company’s bottom line and bring a further return on any training investment. Not all training is created equal. Online training programs have become widely available and can serve a purpose, but some of them can be unappealing and cause people to spend their time in other ways. Engaging, interactive and in-person courses are the best options for the type of training that will be seen as an investment in your employees and will advance their skills. 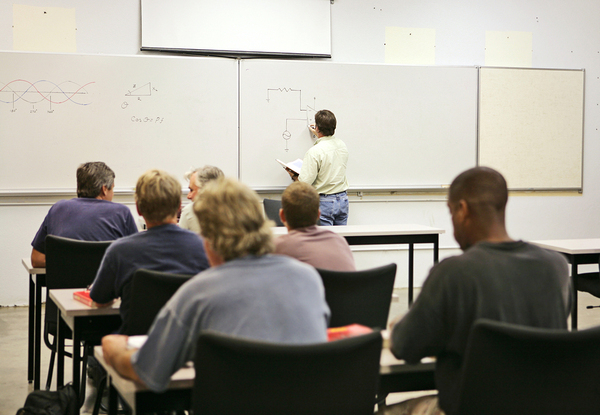 Central Connecticut State University offers many different continuing education courses that may benefit your company’s employees. Courses are affordable and engaging, with many leading to certifications that will prepare them for advancement within your company. View all our open courses to see what we can offer your company’s employees. As your career continues to progress, professional development should play a role in your overall learning as a great way to invest in yourself and learn new skills. One of the best skills any employee–even those not yet in leadership–can learn is project management. Whether you decide to become certified as a project manager or just take courses in project management, there is much you can learn that will improve your overall functioning at work and may lead to your being considered for advancement as your company has more advanced positions available. The foundation of project management is in skills that are universally useful in the workplace. First, best practices in organization are taught, which if followed, can increase your productivity whether or not you are in a leadership position. Being organized helps you get more done because you aren’t wasting time trying to find information or materials you need. Another thing you learn in project management courses is how to plan a project in an efficient and effective way. Whether or not you are in a project manager position in your job, you can use these planning skills to structure your work in the best possible way. If you are involved in a team, you can use these planning insights as you collaborate with the team, and may even distinguish yourself as a potential future project manager going forward. Time management skills are also taught in project management courses, although all employees can benefit from improving their time management. In addition, project management courses help employees with problem-solving skills, critical thinking, and interpersonal skills, which also have broad usage even outside project management. Maybe you have advancement ambitions, or maybe you just want to see what happens as your job progresses. 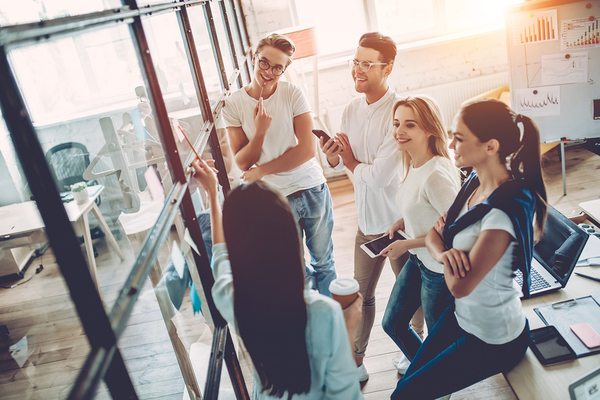 Either way, you may find yourself in a leadership position after taking project management courses–especially if you decide to pursue certification. PMP certification, which is the most popular project management certification, is regarded positively by employers, even if it isn’t required. Certification demonstrates that you have mastered particular project management skills well enough to pass a rigorous exam, which helps employers have confidence that you will be able to handle projects effectively. Coursework carefully covers all relevant aspects of project management, rather than a piecemeal approach that might give you strengths in some areas and weaknesses in others. 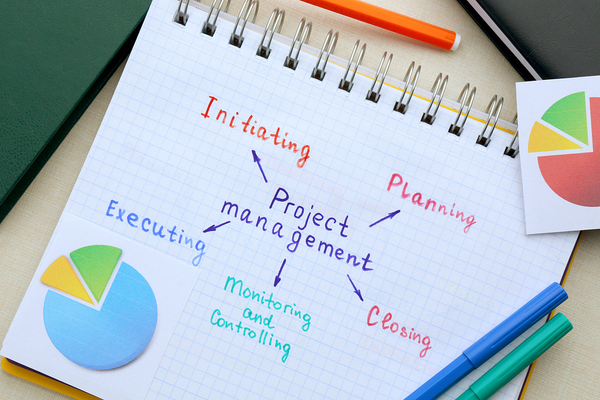 Project management skills will also help you with future coursework, since you can apply the same skills to the projects you have to do in the courses. Whether or not you become a project manager, the organization, planning, and time management skills you learn in project management courses will benefit both you and your company. And should you apply for a promotion or a job that requires project management skills, having taken classes in it will help your resume stand out. CCSU offers courses in project management that can lead to the PMP certification or just enrich your knowledge base and skills. View our open courses to see all that we offer. 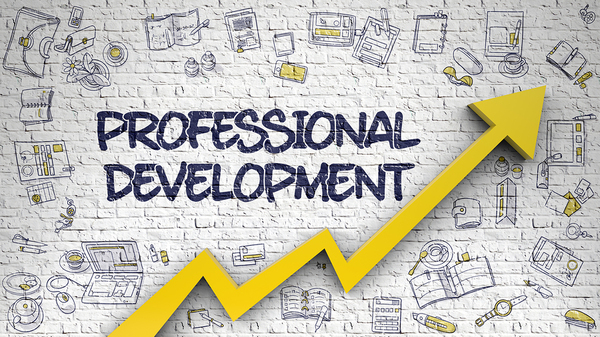 Professional development must continue long after you land your first job if you want to remain relevant and valuable to your employer, as well as have opportunities to advance. Here are the top professional development skills that can enhance your career. How you communicate with co-workers and supervisors has everything to do with how you are perceived in the workplace and your ability to get the job done. Communication skills is a broad category that includes listening, speaking, writing, and leadership or management abilities, all of which employers value and look for as they promote from within. A good deal of communication is non-verbal, and researchers now have lots of information about how body language can often say more than your words and can impact how others respond to you. There are always problems to solve in a professional career, and being able to do so effectively takes critical thinking skills, flexibility, and the emotional intelligence to consider others’ viewpoints in addition to your own. Professionals with good problem-solving skills will be seen as effective in their jobs and good team players who can make even the most impossible-seeming situations work out well. 3. Organization and planning skills. If you want to get a lot done at work and demonstrate that you are highly productive, you need good organization and planning skills to help you maximize productivity and avoid doing things the long and inefficient way. Organization is more than just keeping a calendar or planning out your day; there is much to learn about how to be organized in the workplace. 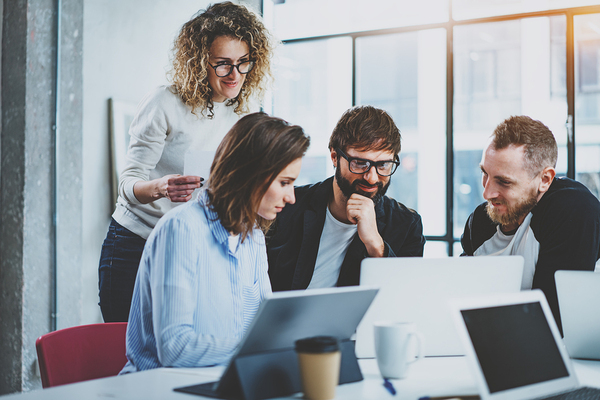 Even if you aren’t in management, learning management skills can allow you to take leadership positions within your position and be a pathway to advancement. Learning how to manage people also teaches you about yourself and can be a boost to other skills like communication and emotional intelligence, and improve your value to an employer even if no advancement opportunity presents itself right away. 5. Having a positive attitude and service mindset. A positive attitude not only makes you someone people want to be around, it can also help you perform better at your job. Looking to serve others, from customers to co-workers, helps maintain a good attitude and is also highly effective, preventing many problems (such as the “that’s not my job” mentality). Even leaders can have a serving attitude and are usually highly respected when they do. While it may seem like many of the skills you need for professional development are not ones you can learn in a course, there are actually many continuing education courses that teach these skills and help you to develop them. CCSU offers many courses on both technical and soft skills that can foster professional development and growth as you progress in your career. View all our open courses to see what we can offer you as a professional. Many children discover social media before they are old enough to realize all the ramifications of posting every detail of your life online. Without leadership from parents and other adults like teachers, children are left to make mistakes with social media that can have lasting consequences for years to come. Here are some tips for protecting your children and students as they navigate social media. 1. Be friends with your kids and (if appropriate) students. Teachers may not be allowed to connect with students through social media, or may not feel their posts are child-friendly enough to connect with students, but parents should require their children and teens to connect with them on social media as a way of keeping tabs on their activities. Parents can also keep a list of passwords for their kids’ social media accounts so that they can monitor them at all times (and delete posts that they feel are inappropriate). Warn children ahead of time that you will be doing this. 2. Give concrete examples of what not to post, and why. Anecdotes about social media snafus are likely to make kids think more about the possible negative consequences of their actions on social media than a list of dos and don’ts. TV shows aimed at kids and teens have dramatized this issue and may get them to think twice to avoid ending up in a similar situation. Be specific about the possible consequences—kids have gotten kidnapped by getting emotionally involved with someone online that they have never met. They have been humiliated by intimate photos that are shared publicly. They have been relentlessly cyberbullied. Kids need to know this before they have the chance to get themselves in a similar situation. 3. Have children use computers in a public area, not in bedrooms. Kids need to know that parents (and teachers, where applicable) could be checking up on them at any time, which will be a strong deterrent to keep their behavior above a certain standard. 4. Keep the lines of communication open. Children should feel comfortable about talking to their parents and teachers about the difficult things in their lives, including problems that may come up because of their social media use. If you come across as expecting your kids not to make mistakes, they will be more likely to hide things from you. But if you can convey that everyone makes mistakes and you want to help them with the difficult situations rather than punish them, they will be more likely to see you as a resource that can help when things get tough. The more time kids have on social media, the more likely they will be to find ways to get into trouble there. Kids don’t need unlimited online time, and it’s really not healthy for them to have it, either. 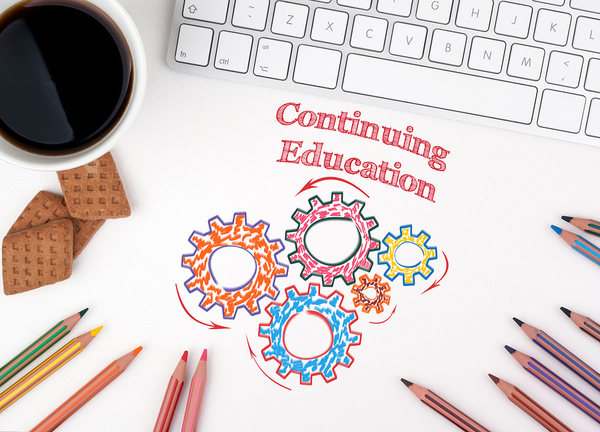 Yes, You Can Integrate Continuing Education into Your Busy Life! One of the biggest concerns people have about taking continuing education courses is the time it takes. Most people’s lives are already stuffed full with work, family, maybe a hobby, and social time with friends. Who has time to take classes on top of all of that? And yet, the benefits of continuing education courses are clear and plentiful: advancement at work, better brain function, and even better relationships in your personal life. 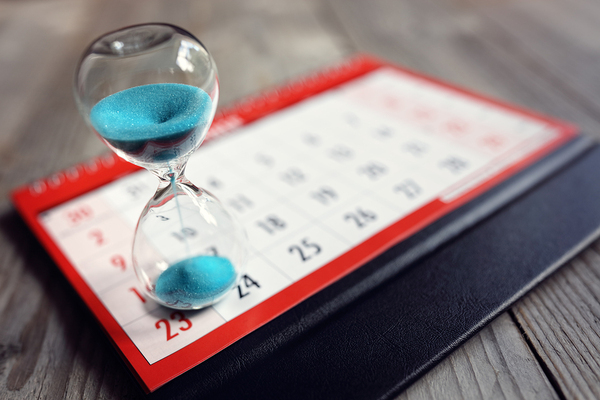 Even better, it is possible to integrate continuing education into even the busiest schedule with a minimum of disruption to your other activities. You may think you have no downtime or wasted time, but ask yourself a few questions. How much time do you spend watching television, Netflix, or goofy cat videos? How much time do you spend Facebooking your life or posting your dinner on Instagram? How do you wind down at the end of the day? These and many other activities could give you the opportunity to attend a course or complete coursework, if you choose to reap the benefits of continuing your education. Continuing education now includes evening, weekend, online and hybrid courses that fit into any schedule, no matter how busy. Some courses may only be an hour per week, and you can study during that wasted time sitting in front of a large or tiny screen. And a commitment to continuing education doesn’t have to steal months or years of your free time. Many courses only run for a few weeks or months, and they often have breaks in between courses so you can catch your breath and resume your normal Netflix binging until the next course starts. You may find that having interactions with fellow professionals and stimulating your mind is far preferrable to whatever you would have been doing, normally, and decide to take even more continuing education courses. Maybe you can even take courses with a friend in lieu of other social activities that you normally do, and learn a little more about each other as you learn professional skills. And if your family life is just too crazy to allow you to attend classes in person, many online courses allow you to complete coursework any time you do find a few minutes to yourself–even at 11 p.m. after everyone else goes to bed. 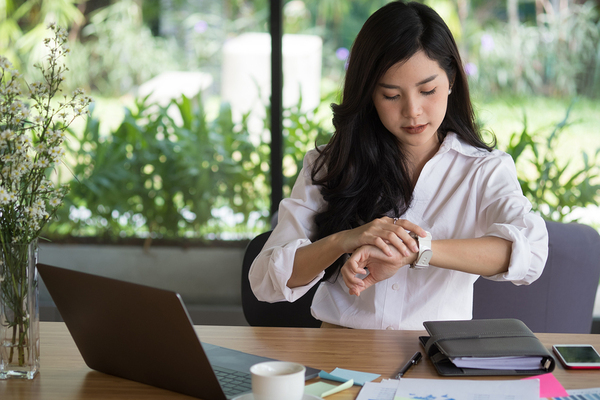 Most time management experts have debunked the “I don’t have time” excuse when it comes to important life activities like exercising, eating healthy and–yes–continuing your education. People make time for the things that are important to them, and you will make time for continuing education if it is a priority for you to keep your professional skills up to date, take steps to learn more advanced skills, and improve yourself as a person overall. CCSU offers a large variety of continuing education courses including professional certifications, enrichment courses, and courses on soft skills like communication and emotional intelligence in the workplace. View all our open courses to see what we offer. Continuing education can help a person advance their career or learn new skills, but it is also good for minds and bodies. A recent study showed that even seniors 80 years old and older who stayed cognitively active were more than twice as unlikely to develop Alzheimer’s disease or dementia as those who didn’t exercise their brains as lifelong learners. Mental stimulation in the form of continuing education can be part of the cognitive activity that staves off dementia, and it starts with a lifelong commitment to continue learning which becomes such a strong habit, it isn’t broken later in life. The brain really is a “use it or lose it” organ. Brain studies show that certain parts of the brain shrink without regular usage, including the parts that deal with memory and problem-solving. When you stop learning, the blood flow to your brain eventually lessens, and inflammation and plaque buildup can occur. When you’re learning new things, the benefits will spill over from better hard and soft skills at work into your non-work life as your brain responds better to all of life’s demands, from working out an optimal budget to improving your relationships to pursuing an interesting hobby. All of these non-work activities and aspects of life are enhanced by the brain exercise continuing education gives. While it isn’t impossible to get the same brain-boosting benefits from informal education as it is from taking courses, formal continuing education courses are structured in such a way that brain benefits are nearly guaranteed, as long as students participate and engage with the material. Many people also have good intentions about self-teaching but fail to follow through the way they would in a course that takes place at certain times and places. It’s also much less likely that you would teach yourself the same valuable skills as a continuing education course taught by an instructor who often has decades of experience in the skills you need, as well as valuable workplace experience that they use to determine which skills will have the most benefit for the workplace. A mix of formal courses and informal educational activities like discussions with colleagues, reading books and doing research online may give the greatest benefit by strengthening the brain in different ways and meeting different educational needs. Not only could you advance in your career, but you could also reap benefits in your personal life that may be even better. And educational activities also offer the benefits of social interaction, something that also contributes to sustained overall well-being. Continuing education courses can be a great way to continue learning new skills as well as socially interacting with people who have similar interests. CCSU offers continuing education courses in many careers as well as soft skills and recreational interests. View open courses to see what you might enjoy learning about. Just about every workplace has at least one or two people who are difficult to get along with, and if you don’t have hiring and firing power, you’ll have to learn how to work effectively with them. Dealing with difficult coworkers is probably one of the most difficult skills to master, but it can be done with some patience and practice. The first thing to do when you realize you dislike or have conflict with a coworker is to try to see the world through their eyes–to walk a mile in their shoes, as they saying goes. Try to learn more about them and what makes them tick–not for any nefarious purpose, but to see what’s behind their behavior. Maybe that extremely negative person has lost someone near and dear to them or struggles with divorce and custody issues, or suffers from chronic pain. It may not make you like the person any better, but it may increase your patience with them and make it easier for you to treat them well despite their own behavior. Which brings you to the next main principle of dealing with difficult people. No matter how someone else treats you, you need to treat them with respect and be professional in your dealings with them. It’s not about whether they “get away” with treating you badly, it’s about making sure you aren’t going to deal with any fallout from your treatment of them. You can even “stand up” to them and confront them about their behavior if you can do it politely and professionally. Being a doormat and “taking it” isn’t necessary or even advisable in many cases. Documenting any incidents in which they treat you badly or unfairly isn’t a bad idea, because it will give you something concrete to share with your superiors if and when the timing is right. Sometimes it becomes evident to others that there’s a problem, or they cross a line that demands some action on your part to prevent harm to your career, and it helps to have documentation that it’s more than a one-time problem. You can still handle the situation positively and with respect to everyone involved, making it clear that you’re not trying to get anyone in trouble but just want the situation to be rectified. If you’re stuck in the last thing a difficult person did that made you upset or bothered you in some way, you won’t be as effective in your work. Being able to let things go and give people more chances to do better in the future is the best course of action and will reflect well on you in the workplace. Sometimes it isn’t a matter of the other person being wrong and you being right, it’s just a case of different personalities or work methods. Being able to put aside your own preferences at least some of the time and compromise with others are good skills to have and will help the team function better. If you can calmly explain your difficulty with the coworker to your supervisor or team leader without saying derogatory things against the coworker, you may be able to get some advice on what to do moving forward and how you can better deal with the situation. CCSU offers continuing education courses in soft skills, including communicating with coworkers and interacting positively. View open courses to see what we have to offer that may help you in your career.